As a result of new strategic threats, Europe's land forces are currently undergoing a historic transformation which may reflect wider processes of European integration. Europe's mass, mainly conscript armies are being replaced by smaller, more capable, professionalised militaries concentrated into new operational headquarters and rapid reaction brigades, able to plan, command, and execute global military interventions. At the same time, these headquarters and brigades are co-operating with each other across national borders at a level which would have been inconceivable in the twentieth century. As a result, a transnational military network is appearing in Europe, the forces in which are converging on common forms of military expertise. 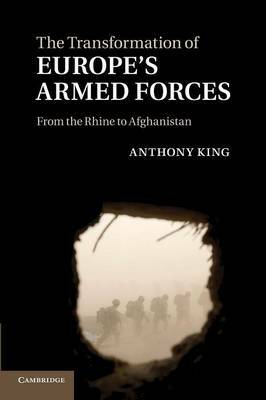 This book is a groundbreaking study of the military dimensions of European integration, which have been largely ignored until now. It will appeal to scholars across the social sciences interested in the progress of the European project, and the nature of the military today.